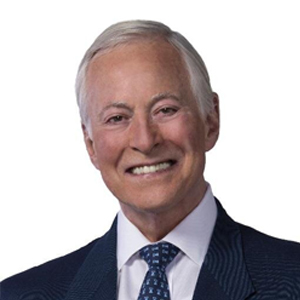 Brian Tracy is one of America’s leading authorities on the enhancement of personal effectiveness, the development of human potential, and the art of salesmanship. A dynamic and entertaining speaker, he has motivated and inspired thousands of people toward peak performance and high achievement. His seminars on leadership, goals, motivation, time management, and success psychology draw capacity audiences. As head of two companies, Brian Tracy has consulted with more than 500 corporations in the U.S., Canada, Mexico, the Far East, and Europe on marketing, creativity, corporate strategy, sales, and organizational development. He is president of the Institute for Executive Development, a human resource company, and was formerly the chief operating officer of a development company with over $265 million in assets and $75 million annual sales. Are you suffering from “excusitis” or living on “Someday Isle”—you know, where you’ll get around to living your greatest life “someday”? Brian Tracy says we need to vote ourselves off that island and in this Note we’ll check out some of my favorite Big Ideas on how he says we should rock it—from understanding the root of negative moods (it’s all about blame) to thinking long-term (the happiest/most successful see the big picture!) to the importance of setting goals and taking purposeful action. Brian Tracy is one of the classic modern self-development teachers and he's literally a Big Idea machine. In this Note, we'll have fun learning about the importance of taking responsibility in our lives and staying flexible (and, of course, some Ideas on how to do so!). We'll also check in on the importance of managing our time well by "one-touching" stuff and maintaining our optimism in the face of challenges.